Who Is The WHP And What Do We Do? 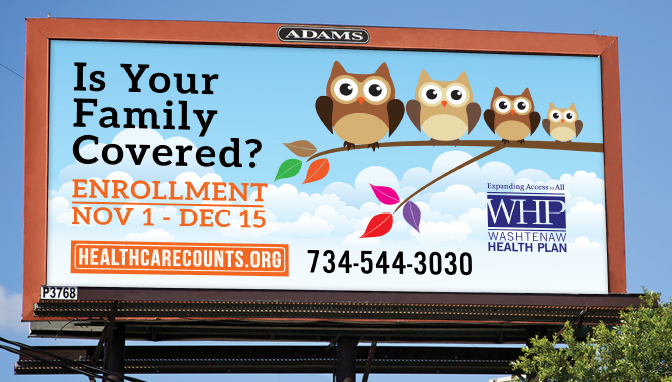 Who is the Washtenaw Health Plan? But now, thanks to the Affordable Care Act, more people have other options--Medicaid, the Marketplace, employer insurance. So the WHP's Plan B safety net program still exists, but first we'll see if you qualify for insurance that meets the Affordable Care Act mandate. We believe in healthcare coverage. We have seen it save lives. The Affordable Care Act is not perfect, but we believe it moves us in the right direction--toward healthcare for all. So nowadays, we spend most of our time helping people figure out their healthcare options. The WHP staff at our holiday celebration! Come meet us in person! We help you assess your healthcare coverage options. We advocate with and for you if you need help with DHHS or the health insurance Marketplace. We have learned a lot about the systems and policies that make the healthcare systems run, and sometimes what might seem like magic to you is just us having done this application hundreds of times before. We explain unfamiliar terms like deductible and maximum out-of-pocket costs. We listen to what you need. We explain what kind of proofs you need to provide for income or immigration verifications. We write this blog, and maintain this website. All of this work is motivated by a deep and abiding belief that everybody deserves access to health care. Yes, everyone. So we'll help people who are parents or kids, tall or short, fat or thin, employed or unemployed, single or families, immigrant or citizen, happy or sad. We'll help you if you know exactly what you are eligible for, or if you have no idea what your options are. We'll speak English, Spanish, French or Arabic in the office, and if you speak a different language--we'll call for interpretation help. We'll help you if you live in Washtenaw County, and we'll help you if you don't. In Other Words: We Help People--Like You! And, in fact, the tagline of our new advertising campaign is: We Help People--Like You! Our hope for 2017 is that we will help even more people like you. With our new ad campaign, we've got ads running on buses with our friends over at the Ann Arbor Area Transportation Authority (also known as The Ride). We are distributing posters around town as well. Thanks to The Ride for donating the advertising space on the buses, and thanks to Pete Sickman-Garner for his graphics design work. Look for these posters on The Ride! We've shown you some of the advertising posters in this blog post, but here's how you can help us! 1. Download some poster copies here (they print in 8-1/2" x 11" or 11" x 17"). Post them where you work or play! You can also share them electronically or on social media. 2. Ride the bus? Take a picture of one of our posters on the bus. Tag us on social media, and we'll send you a prize pack! You can find us on facebook, instagram, and twitter @coveragecounts. Here's to 2017! Help Us Help More People--Like You!